I was fourteen years old when I first met Georgia. My dad had fallen in love with a wonderful woman and he was going to be remarried for the first time since he and my mom had divorced eleven years prior. I was going to have to fit into a new family and it was a daunting reality I was incredibly afraid of. I am writing this through tears. My heart is absolutely torn open. A part of me does not want to write this at this moment because honestly, I am still not sure I can find the words. The other part of me knows that I need to write this, regardless of my hesitation to do so. After all, writing is how I find my way through the parts of life that bring to my knees. This is certainly one of them. Would they like me? Would I like them? Well, Georgia was one of the early welcomers that stood at the gates of this new family I would be joining. She was related to the woman who would soon become my new step-mom. We stood together as bridesmaids in the wedding of my father and her cousin. My dad’s wedding was a strange but beautiful time for me. I met so many welcoming, lovely new family members and Georgia was a great source of strength for me during that time. As we rode to and from the church together, I sat in the car asking her all sorts of questions. Not just about her career (in fact, I don’t think I asked her any questions about her career), but about her life. I cannot even imagine how annoying I must have been but never once did she seem annoyed by me. Instead, she opened up to me. She told me many things that I will not share publicly, but the things she told me were incredibly honest. I was struck by how honest she was with me. She treated me as an equal, not as a fourteen-year-old she had just met. Each time I saw Georgia, she would embrace me and tell me how beautiful I am. She had a way of making me feel special, even when I did not feel special. She seriously always had a way of uplifting me. Most importantly, though, was the love that she showed to my son. When she met him, she was eager to ask me every question about him that she could think of. Maybe she was repaying me for the car rides to and from the wedding. This is one of my favorite pictures of Georgia. 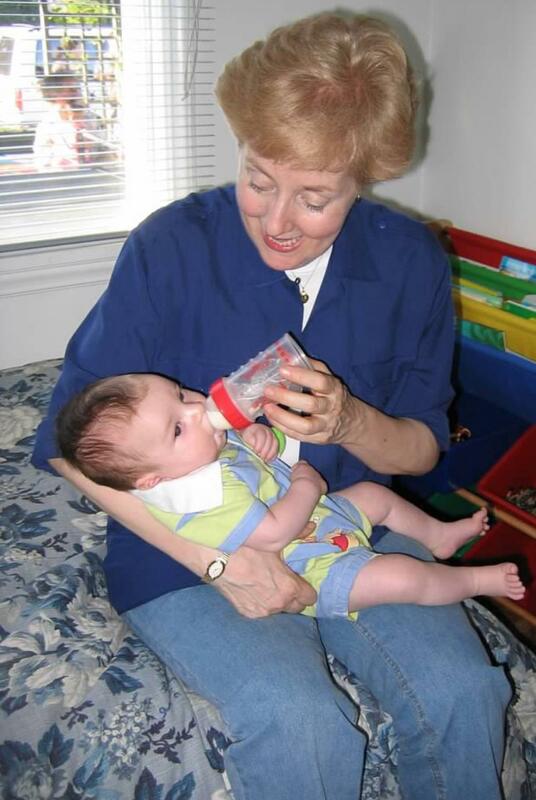 It is her feeding Ayden when he was about four months old. It is hard to believe that she is gone so soon. She was such a beautiful light that brought great joy to many people. I will never forget how gracious and humble and loving she was. The world is shining a little less brighter today. I will forever be thankful for her kindness. I will forever be thankful for her welcoming heart at a pivotal time in my life. I will forever hold her dear. Goodbye, dear Georgia. Goodbye. Please follow me on Facebook, Instagram, and Twitter @amelodyinjune.